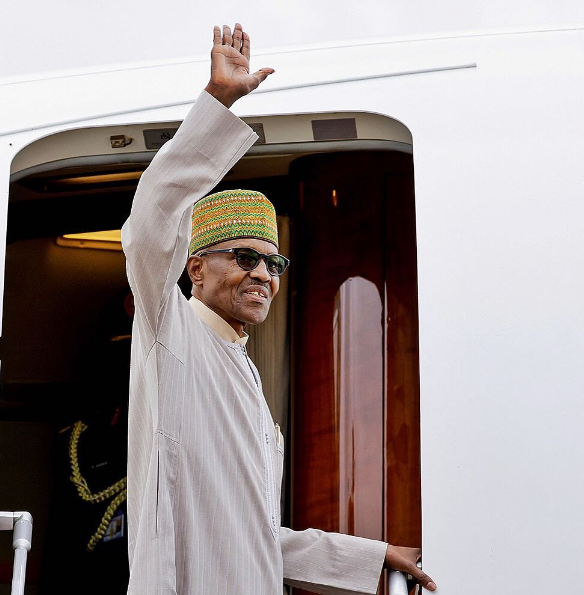 Leaders of the All Progressives Congress (APC) in Kano State, on Thursday adopted President Muhammadu Buhari as their sole candidate for the 2019 presidential election. The APC leaders made this disclosure on Thursday, as President Buhari wrapped up his two-day state visit to Kano. While expressing their commitment and support for the administration of Governor Abdullahi Umar Ganduje, the party leaders also declared him as their sole candidate for 2019 governorship election in the state. However, former Governor Rabiu Kwankwaso, who contested for the APC’s presidential ticket in 2015, was not at the meeting. The State Chairman of the APC, Alhaji Inuwa Abbas hinged their endorsement of the President on his achievements in the last two years especially in the areas of security, the war against corruption and the restructuring of the economy. ‘‘It is even more so for us as a commercial and industrial state. We are convinced that you are best for these times when the country has begun to muster energy and resources to develop agriculture, infrastructure and empower the younger citizens,” Abbas said. President Buhari did not say he accepted, nor did he decline to accept the endorsement in his speech even after the party leaders promised to procure the nomination forms for him and threaten to sue if he declined the said endorsement. President Buhari merely beamed with smiles and went on to underscore the need for unity in the party and among the diverse peoples of Nigeria.